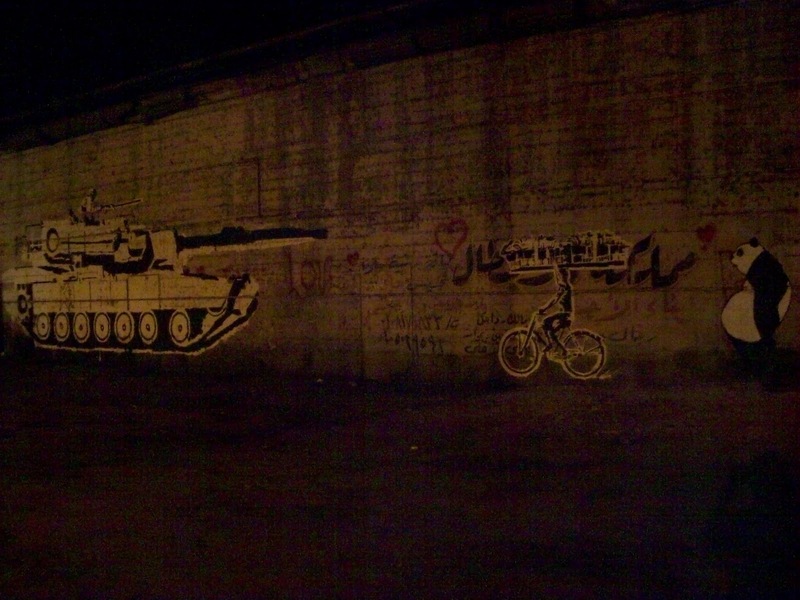 In the upscale neighborhood of Zamalek in Cairo, Egypt, a military tank faces off with a man, on a bicycle, carrying bread. This scene is a five-minute taxi ride from Tahrir Square, the primary spot within the city and the country where thousands of protesters are currently fighting against the rule of the Supreme Council of Armed Forces (SCAF). In the months since the January 25th uprisings that saw the disposal of Hosni Mubarak, protesters have repeatedly returned to Tahrir and squares around the country to have a say in the making of a future Egypt. Activists have also been trying to root out the lingering political ideologies of the old regime. Despite the euphoria of February 11th when Mubarak stepped down, there is now a widespread sense that the SCAF is simply continuing the policies of the Mubarak era while carving out a larger political role for itself—threatening the political future that Egyptians are fighting for. Thankfully however, the scene in Zamalek is not real. 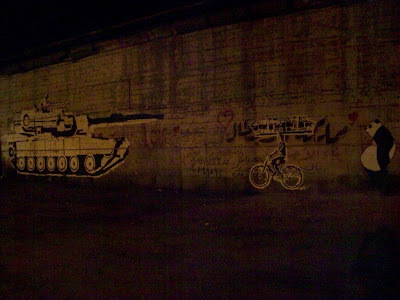 It is a piece of graffiti art by the Egyptian artist Ganzeer (the name means ‘bike chain’ in Arabic). Paralleling the political struggles happening in the country, graffiti art has spread rapidly throughout Cairo since January 25, transforming many of the streets around the city. 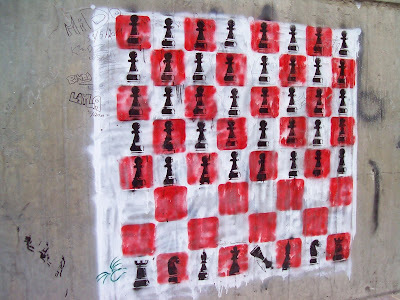 Ganzeer’s piece evokes the ethos of the political battles currently being waged. The bread deliverer, humble and ingenious, is acting metonymically as a representation of Egyptians while the military tank, representing the SCAF, is a direct affront to his well-being. Graffiti as a global phenomenon was largely absent from the Streets of Cairo prior to January 25. Since that time it has flourished dramatically. The art form is broadly understood as any piece of unsolicited art that is usually placed in visible public locations. The history of Graffiti is long and varied (Sheon 1976), but in Egypt, many of the manifestations of graffiti visible within the city can be linked to the styles of Banksy or traced further back to graffiti’s history within American urban experience, particularly within the emergence of Hip-Hop. In Egypt, pieces are large and detailed, many incorporating stencils. They are placed on property walls, public buildings and on transportation infrastructure. Professional and amateur artists have all made their mark on the walls of the city. Works seen around Cairo touch on a number of different political topics or operate as forms of commemoration for the uprising and the martyrs who died. Other pieces are meant to illicit laughter. 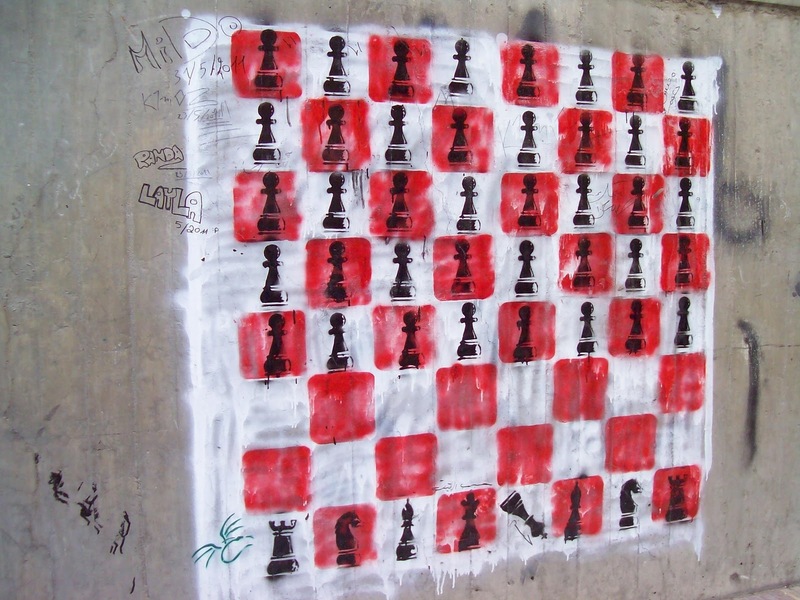 The anthropologist Julie Peteet, in her work on the Palestinian Intifada, has argued that graffiti allows for a range of voices to come together, in turn building relationships and providing an arena for political contestation and the exercise of power (Peteet 1996). Similarly, the walls of Cairo have become important terrain through which to express political power. For example, on my last night in Cairo as I tried to take photos of graffiti in Tahrir Square, I was abruptly stopped by a soldier. It turns out that they had been actively painting over work in the area. Graffiti art, in contrast to kuskh kiving, does not ask permission but freely claims spaces on the walls of the city. The explosion of graffiti art in the city can also be understood as part of a general feeling unleashed during the protests against Mubarak. It represents ownership over the political future as well as over the places of the city. In creating markers of political events there is a determination not to give away these newfound powers. Indeed, graffiti spread on public spaces within Cairo performs as a tool to claim space in addition to being visual reminders of the political shift within the country. If you want to look at a piece of architecture, Islamic architecture…[and] if you were to look at a book from that same era you would see the connection, between the architecture and the look and feel of the books. And you would see the connection between say a carpet of the same era or the clothes they wore of the same era. However, the way cities are built today anywhere in the world is completely detached from the rest of our culture…but with street art I think street art kinda forces an interaction or forces the existence of our culture in the environment that we live in and it’s necessary for that. The built environment of Cairo is marked by the country’s colonial history and by the country’s current political and economic orientations toward the United States and Europe. Buildings within downtown Cairo represent French architecture; malls and several restaurants echo Western leisure ideals, and the city is marked by advertisements and billboards for expensive consumer items. Juxtaposed against this, Informal housing units and the architecture from Cairo’s Ottoman, Fatimid and Pharonic past is patch-worked through the city. Within this mix, graffiti allows Cairenes currently living in the city the opportunity to see themselves reflected in the landscape and presents an opportunity for them to be connected and invested in the built environment in a new way. Despite the uncertainty of the political future, it is clear that there has been a shift in how Egyptians understand their relationship to politics and the landscape of the city. Efforts to paint over and ignore these changes only encourage protesters more in their resolve for a new Egypt. Christine Smith is a Ph.D student in the University of Kentucky Geography Department. Her current research focuses on state violence and memory in Egypt. Contact her at Cesmit5@uky.edu. Peteet, J. 1996. The Writing on the Walls: The Graffiti of the Intifada. Cultural Anthropology 11(2): 139-159.